FDNY Chief Cassano: Is New York ready for another 9/11? Success means dispatching at the most expedient rate and making sure that communications are concise so requested resources are deployed correctly. The FCC ruling that granted primary status to fixed links in the 4.9 GHz band could prove to be crucial should the proposed nationwide wireless broadband in the 700 MHz band never come to fruition. Will WiMAX displace Wi-Fi in public safety? While the problems facing Motorola’s commercial handset unit have been the focus of Wall Street analysts, the plight of the rest of the company has been ignored or simply described as “healthy” in most news accounts. 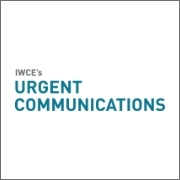 Polaris Wireless’ CEO Manlio Allegra will be amongst several panelists discussing in-building coverage at the “Location-Based Systems in Enterprise and Critical Infrastructure” session at the International Wireless Communications Exposition (IWCE) in Las Vegas.